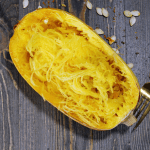 This recipe to cook spaghetti squash in your Instant Pot is super quick and easy. As much as I love spaghetti squash I do not eat it that often because it is honestly kind of a pain to cook it in the oven. Can you relate? Well fret not because I have the perfect solution for you. 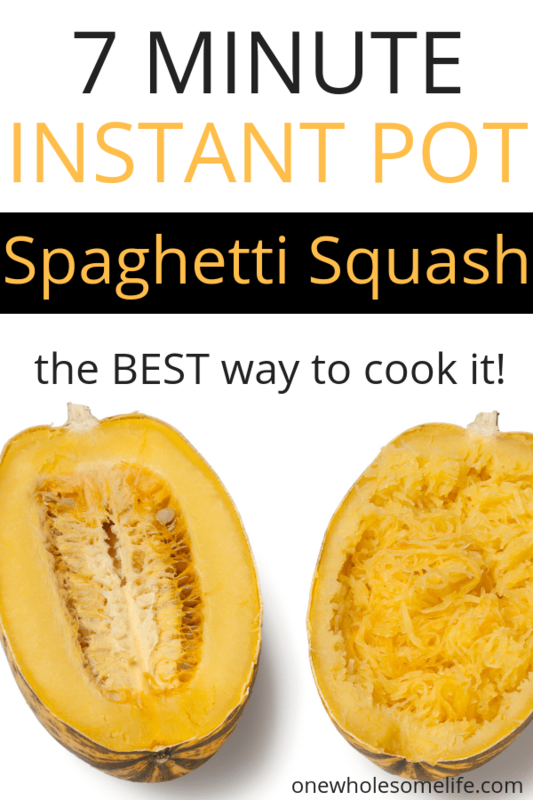 The Instant Pot is the BEST way to cook spaghetti squash. It cooks super quick and comes out PERFECT. 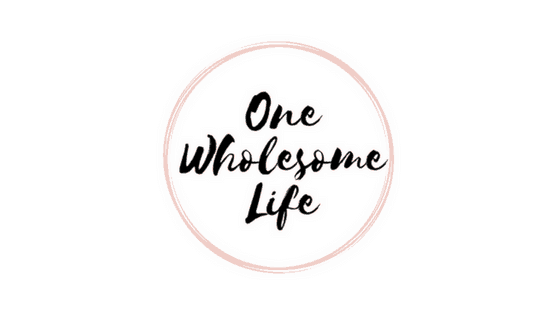 Instant Pot for the win again! You will need an Instant Pot for this recipe. 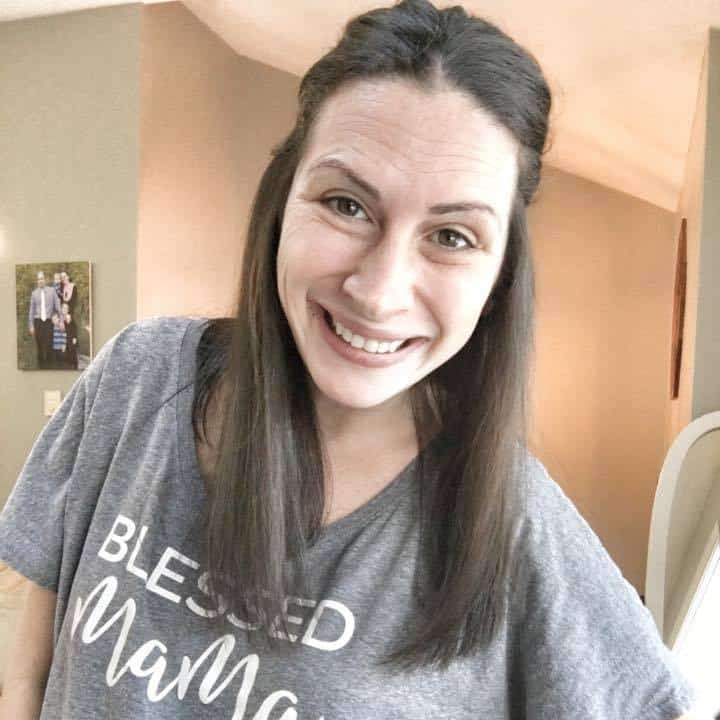 I love mine and use it ALL the time. I have THIS ONE and it is absolutely my favorite kitchen appliance. The best way to cook spaghetti squash in only seven minutes. 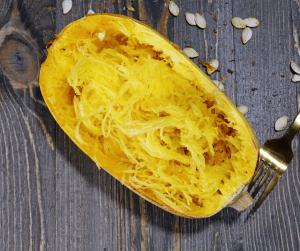 Cut spaghetti squash in half length wise with a sharp knife. Then use a spoon to scoop out the seeds and discard them. Insert the steamer insert in the Instant Pot and add water. Place the squash on top of each other in the Instant Pot - cut side up. Make sure the Instant Pot is sealed and set to high pressure (manual) for seven minutes. When the timer goes off do a quick release. Allow to cool and then shred the squash with a fork and enjoy! This may be my new favorite thing to cook in the Instant Pot! What is yours? ?